Finally something for the adult Hello Kitty fan – Hello Kitty Sparkling Pink Rosé is here to plug the void once filled with a sh*t load of cool pencils, notepads and stickers (and the rest!). When the Hello Kitty pop-up appeared in Soho last summer we knew something big was on the horizon. 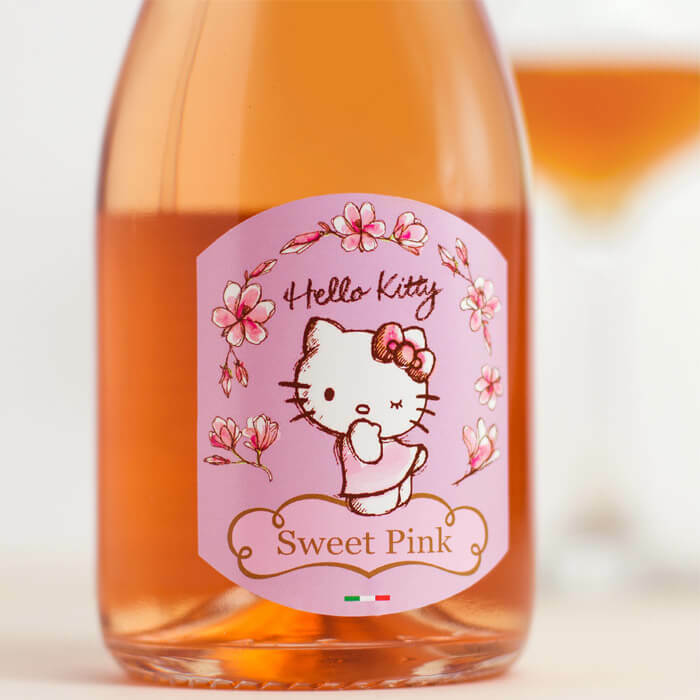 Now Sanrio have teamed up with boutique Italian winery – Torti to create a stylish rosé inspired by everyone's favourite Japanese feline. 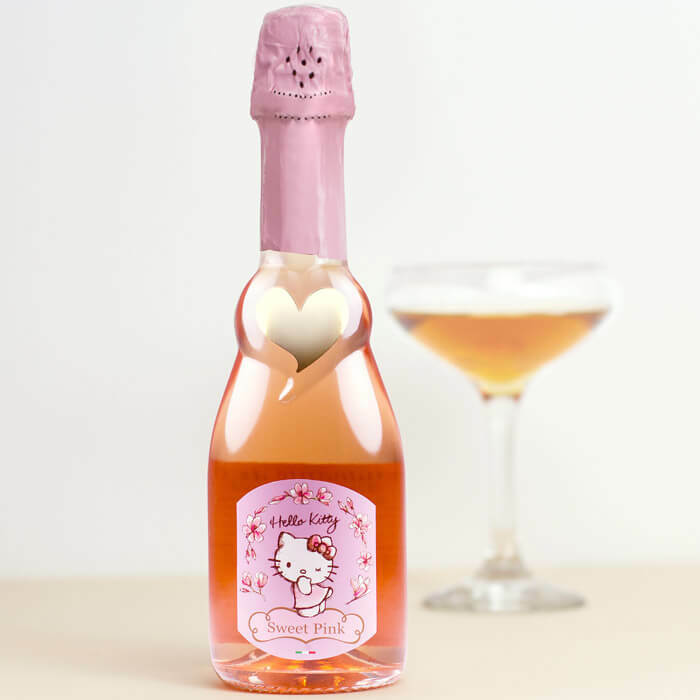 Elegantly packaged in a gold heart-embellished bottle, this pink rosé a sweet and smooth taste matched with an elegant floral fragrance.